My class just completed its unit on quadratic functions, where we looked at all of the old favorites: completing-the-square, quadratic formula, -b/2a. We also looked at “sideways” parabolas (those of the form x=…), and the formal definition of a parabola, including the focus and directrix. 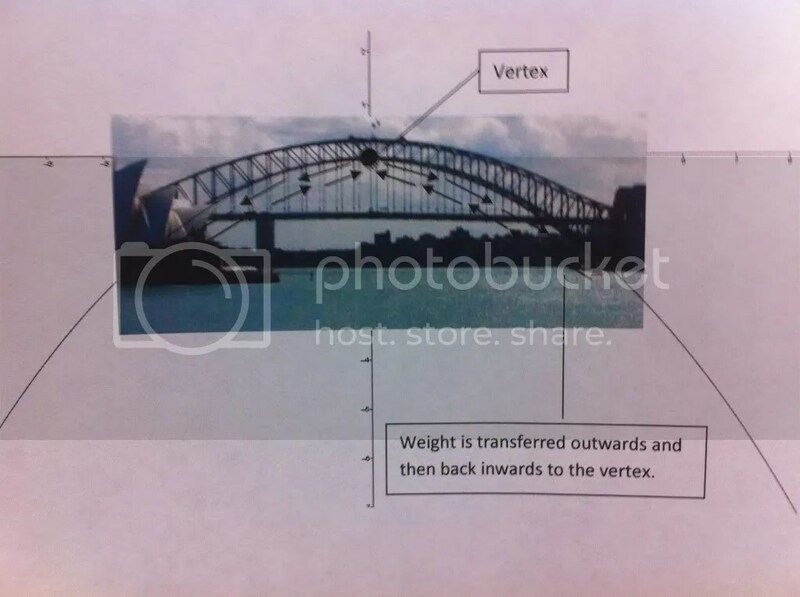 Research an application of parabolas, and explain how the properties of parabolas make them an effective shape for your chosen application, including specific vocabulary. 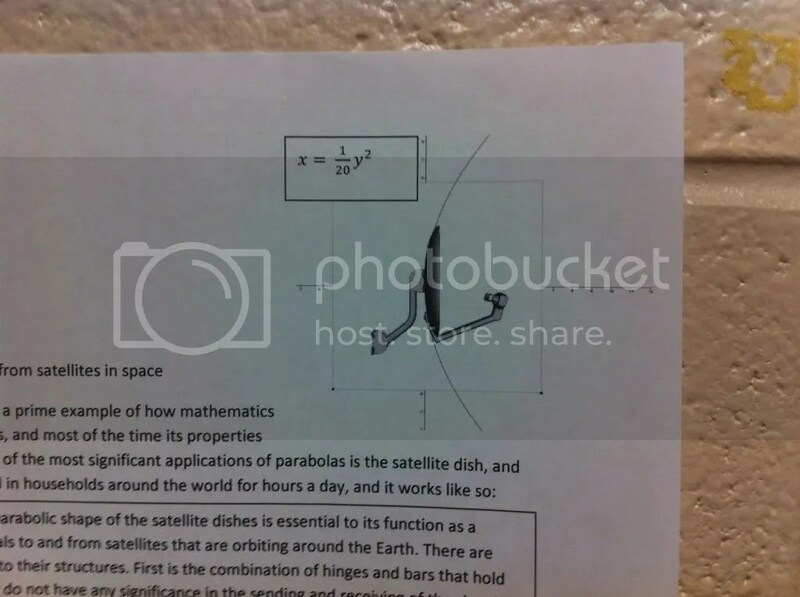 Find a picture of your parabola in action, and use an application like Geogebra to find its equation. Turn in electronically as a single slide or page which could be posted. 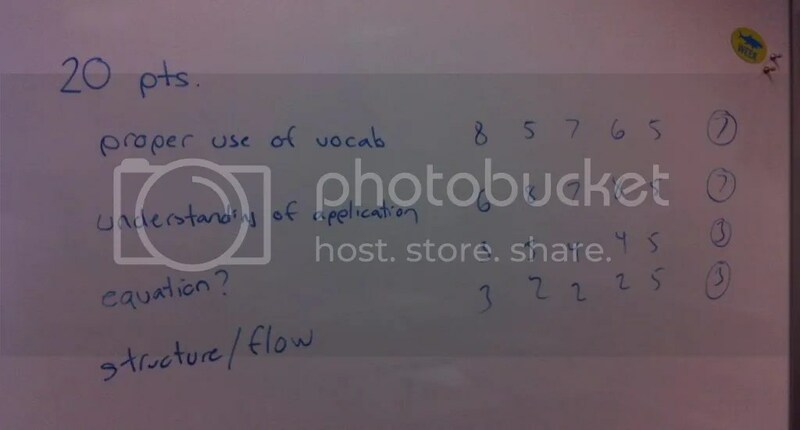 Many of the questions students had about the assignment dealt with my intentionally non-specific instructions: Do I have to use the focus? What if I can’t find anything about the directrix? How do you use geogebra? How much do I need to write? This was one assignment where I needed to “play dumb”; I wanted to students to think about what was essential, and craft explanations carefully. Proper use of vocab: while not all vocabulary words are required, those that are mentioned should be used properly. Equation: is it correct? does it model the situation? Structure / Flow: this was the compromise for creativity. A good paper should have a logical structure which a reader should be able to follow. I then took a pseudo-average from the group results, and a 7-7-3-3 point structure was agreed upon. Armed with this rubric, I placed students in groups of 3, and used a version of Kate Nowak’s great speed-dating method to have students peer-assess their work. With the clock set for 4 minutes, students shared their parabola discoveries, and discussed ideas for improving their paper. After 4 minutes, the students (labeled A, B and C) moved to a new group. So, in 12 minutes, students had a chance to have their work evaluated by 6 peers, and see how their work stacked up to the class standard. At the end of the “speed dates” I gave students 2 more days to revise their papers, based on their peer reflections, and this revised paper would be what was graded. 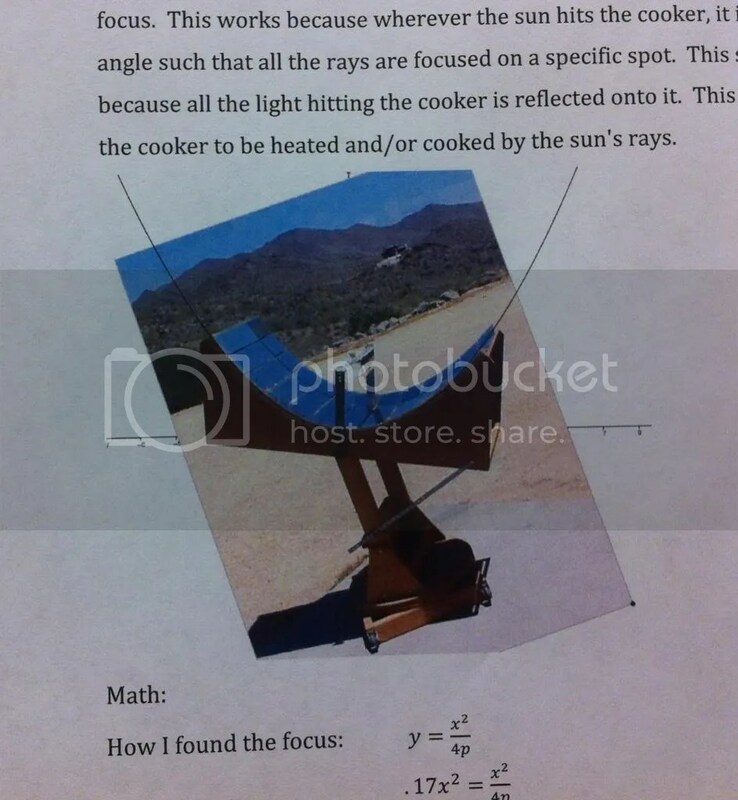 And bringing in the solar cooker application allowed me to share this video about a home-made solar cooker. Cool stuff for kids to see!